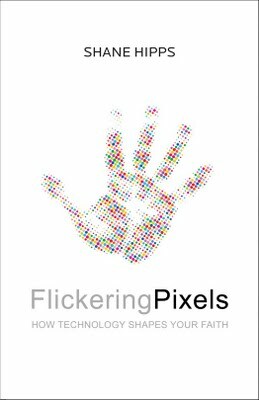 Flickering Pixels is part history of media, part theology for the postmodern era, part social commentary.This book read like a collection of short essays unified around major shifts in media and strongly influenced by Marshall McLuhan's book "Understanding Media" (you should recognize his now famous aphorism, "The medium is the message"). 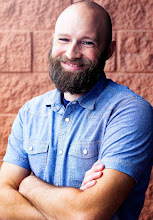 From the printing press to social networking sites, from texting to TV, Shane Hipps gives a brief and random sample of media history and how each of these elements have effected culture and Christianity. I found the chapter on the printing press particularly interesting as Hipps argues that it gave rise to the modern age of linear, logical thinking. While most of Christianity is still operating in this modern mindset in its apologetics and theology, he suggests that the postmodern age has been ushered and accelerated by the arrival of the telegraph, television and internet. While the modernist mindset was logical, linear and word-based, the postmodernist mindset is now nonlinear, narrative- and image-based. I found his criticism of Christianity in this regard to be excessive and more than a little ironic since he was making his argument in book form. With that said, Hipps understands media well and identifies with post-modernity well (at times uncomfortably so). This is a decent read and certainly a challenging read for anyone who is still a logical thinker of a modernist bent (which I assume most avid readers will be).